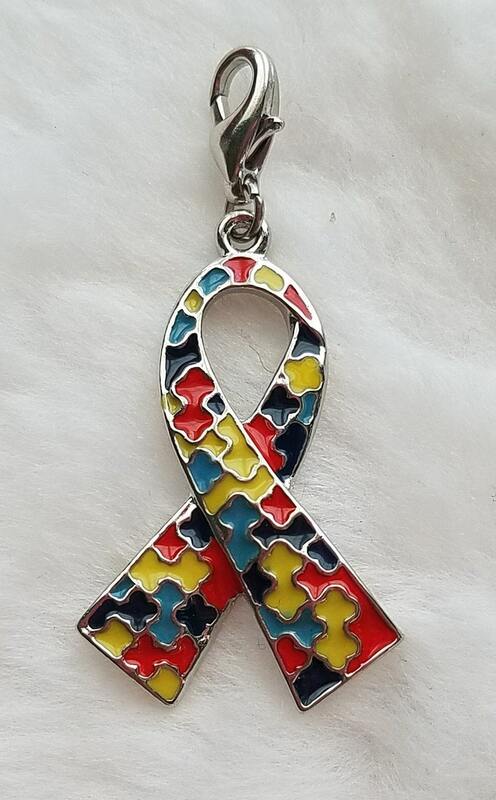 This awareness ribbon is great for remembering and commemorating autism awareness. Hand-enameled, it is a nice size for a necklace (it's a little too big for a bracelet, we think). Pendant comes ready-to-wear with a 12mm lobster clasp attached (unless you choose "No Lobster Clasp" when you put it in your cart). All you have to do is clip it on to your favorite chain! Made of lead-free, nickel free Tibetan silver and hand-painted enamel. We have HUNDREDS of charms that are not listed in our shop. If you're looking for something special, please message us here.